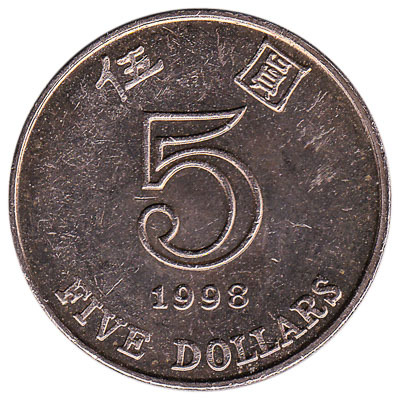 The five Hong Kong dollars coin has a weight of 13.5 grams and a diameter of 27mm. The $5 HKD piece has a Bauhinia flower on the back side. 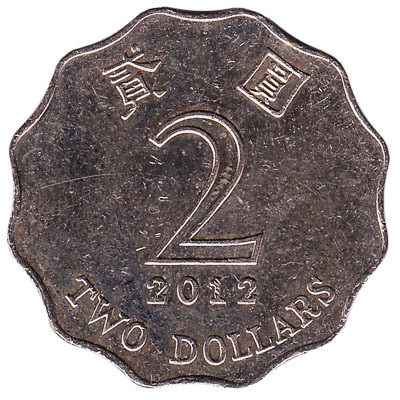 This piece of two Hong Kong dollars has the Bauhinia flower on the back side. 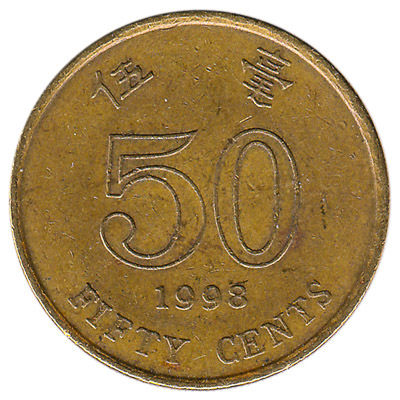 The $2 HKD piece weighs 8.41 grams and measures 26.31mm accross. The one Hong Kong dollar coin weighs 7.1 grams and measures 25.5mm accross. 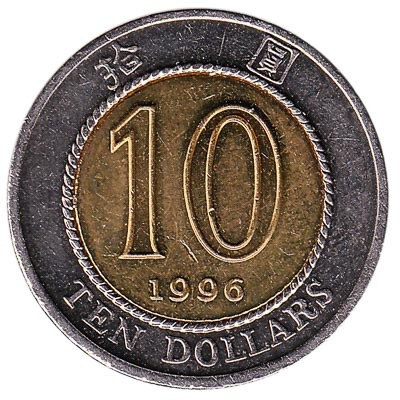 The copper-nickel $1 HKD piece has the Bauhinia flower on the back side.